Two signs have already been illegally removed and Sinn Féin representative Phil Flanagan said they are “a waste of money”. TWO SIGNS PLACED in border counties welcoming people to Northern Ireland have been removed as a political row breaks out between Sinn Féin and DUP representatives. The Roads Service said signs have been erected to remind drivers entering the country that speed limits are displayed in miles per hour and these signs were being supplemented with ‘Welcome to Northern Ireland’ signs to “indicate the change of jurisdiction”. Nine signs have already been erected at a cost of around £1700 and three more will go up in the next few months. The Roads Service said the two signs that have been taken down will be replaced in due course. Sinn Féin MLA for Fermanagh and South Tyrone Phil Flanagan told TheJournal.ie that the signs were a “waste of money” and one of the main problems he has with them is “the manner in which they were put up”. Flanagan said there will be a considerable amount of money spent replacing the signs that have been taken down and this money would be better spent on improving the quality of roads in Northern Ireland. However Alastair Ross, DUP MLA for East Antrim said he rejected Sinn Féin’s argument that it was a matter of money and said it is “a political issue for the party”. Ross said it is important that tourists are informed that they are entering a new jurisdiction and said he was horrified at the idea that people were removing signs. “Regardless of whether or not you support it people should not take the law into their own hands,” he said. The PSNI said there has been no official complaint made to them about the removal of the signs. Email “'Welcome to Northern Ireland' signs spark political row”. 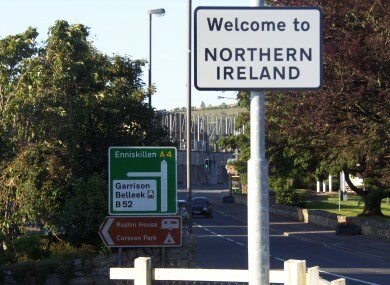 Feedback on “'Welcome to Northern Ireland' signs spark political row”.